Republican Gov. 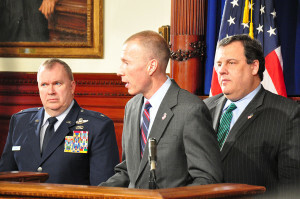 Chris Christie announced Monday that New Jersey Insurance Commissioner Ken Kobylowski will step down later this summer and he will nominate corporate trial attorney Richard J. Badolato as a successor. Christie also announced Treasurer Andrew Sidamon-Eristoff and Health Commissioner Mary O’Dowd would resign as well shortly. We’ll check with the Alliance of Automotive Service Providers-New Jersey to see what they thought about the outgoing commissioner and his possible replacement. Continue to check Repairer Driven News for updates. Kobylowski was confirmed Dec. 20, 2012, to lead the Banking and Insurance Department. He had previously worked as the agency’s chief of staff since 2010, also serving as acting director of banking in 2011. Prior to that, he worked as a corporate lawyer representing insurers, banks, lenders and developers, most recently at Herrick, Feinstein LLP. Baldolato, who is scheduled to start work Aug. 1, is a partner at Connell Foley, former New Jersey Bar president and chairman of the New Jersey Supreme Court Advisory Committee on Professional Ethics. His practice has included civil litigation representing manufacturers (including automakers), insurers and malpractice defendants. In 2013, Kobylowski “enacted sweeping changes” to the auto personal injury protection rules in New Jersey, which the governor’s office credited in the release for bringing more major insurers back to write auto insurance in the state. Kobylowski also changed insurance and surplus law to allow captive insurance companies, fought civil insurance fraud by creating the Bureau of Fraud Deterrence and helped establish an interstate insurance compact, according to Christie’s release. The governor’s office called the outgoing commissioner key in getting the insurance department reaccredited by the National Association of Insurance Commissioners, an organization for which Kobylowski also held a variety of leadership roles.